Captain David Bourgeois and our team of saltwater fishing guides have a lifetime of experience with being raised on our beautiful Southeast Louisiana waterways. Our guides know the waterways of the Barataria Basin (surrounding Lafitte) and find the fish! We offer a full-service charter fishing business including 1 or multiple days of fishing, overnight accommodations, transportation to and from the marina, shipping of your CATCH home, etc. Make YOUR first call the RIGHT call! - 504-416-6260 - Call BIG DOG Charters today and book your trip. Our guides provide all of your equipment (rods and reels, tackle and bait) and the FUN! Customers love to fish with our BIG DOG Captains because we know how and where to fish! Located just a short drive from New Orleans, Big Dog Fishing Charters and our fishing guides will provide you with a day of fun in the sun and a catch you will be proud of! 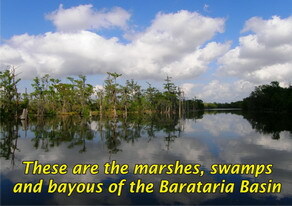 Barataria Basin's waterways and marshes are known for their abundance of fish and amazing wildlife. 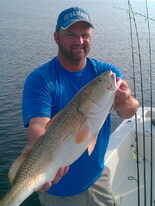 Call Captain David Bourgeois and our team of fishing guides today @ 504-416-6260! Great fun, great fishing and great prices. 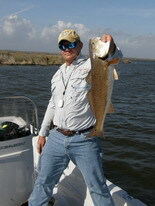 Captain David Bourgeois and all of our guides are U.S. Coast Guard licensed. Fishing trips available for 1 or multiple boats - let our fishing guides cater to YOUR individual needs! Birthdays / Anniversary / Corporate Trips / Bachelor Party / Just Because - BIG DOG Fishing Charters will have you saying "FISH ON"! We are Open 7 days a week and respond quickly to texts and e-mails!